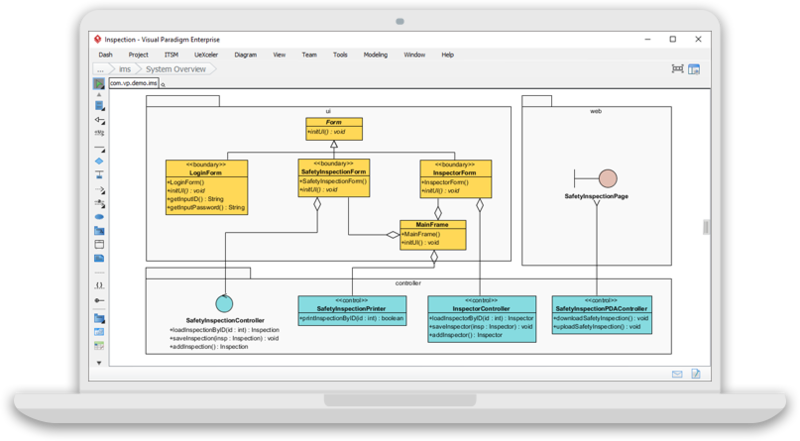 Intuitive modeling software that supports over 50 diagrams like UML, SysML, ERD, Org. Chart, Flowchart, etc. Free for non-commercial uses, including education, non-profit and personal projects. Free usage and upgrades forever. 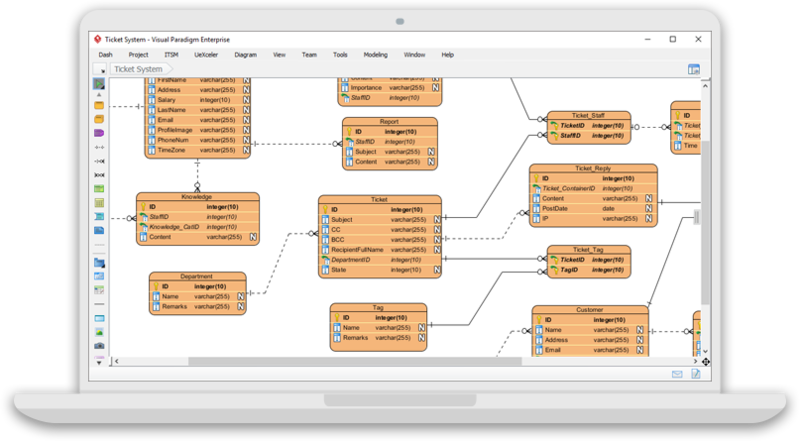 Oracle Cloud, Alibaba Cloud and Tencent Cloud architecture diagram are available in Modeler Edition. 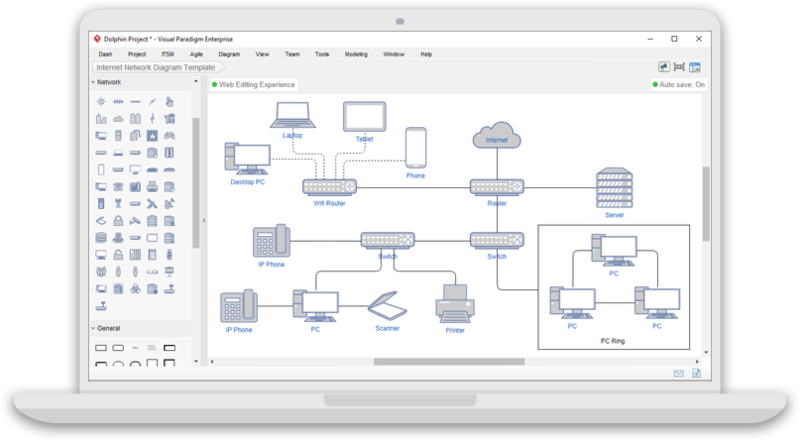 Design how computers and network devices connect with each other with Network Diagram, and how server rack with Rack Diagram. 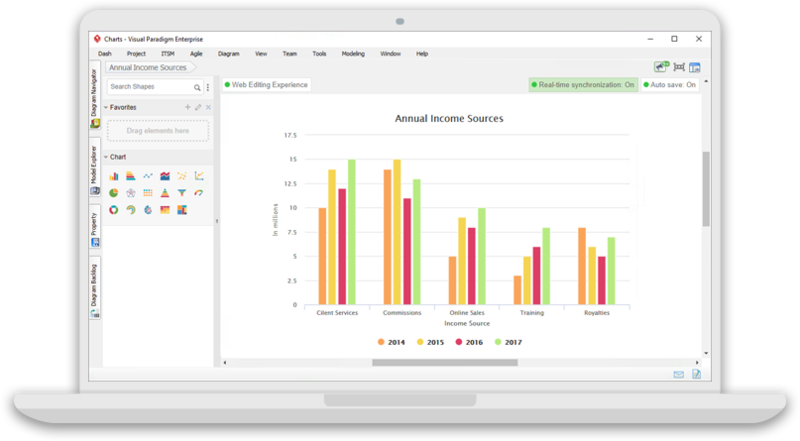 Summarize and visualize data with charts. 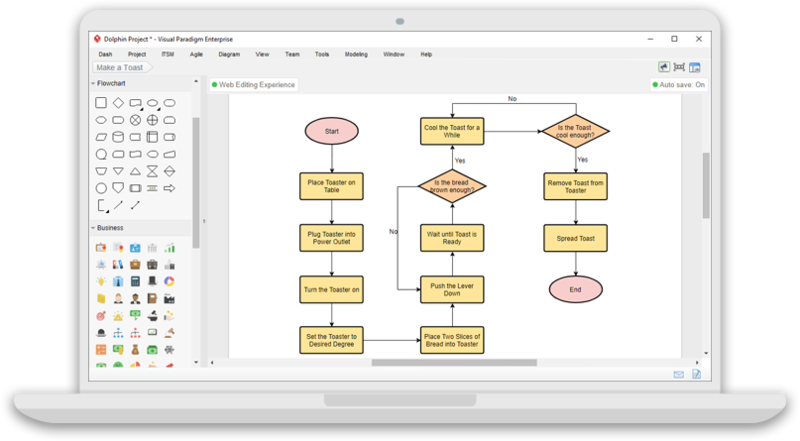 You can input your data with an easy-to-use, spreadsheet –like chart editor. 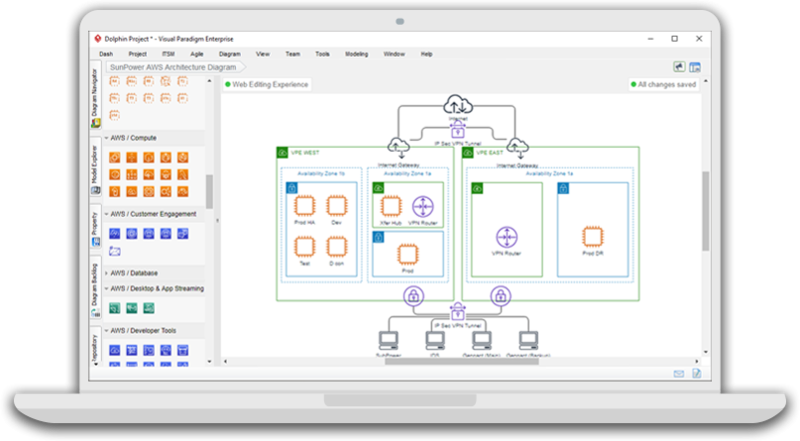 Chart content will be updated instantly following your data. No additional effort needed! 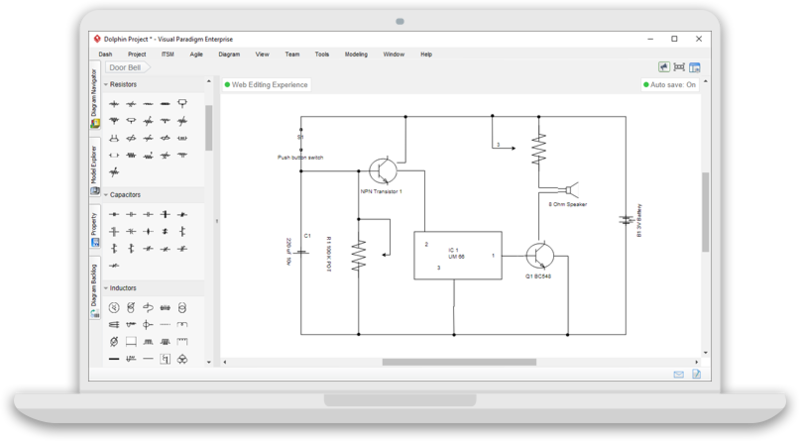 Create sophisticated engineering diagrams for electrical wiring and piping. 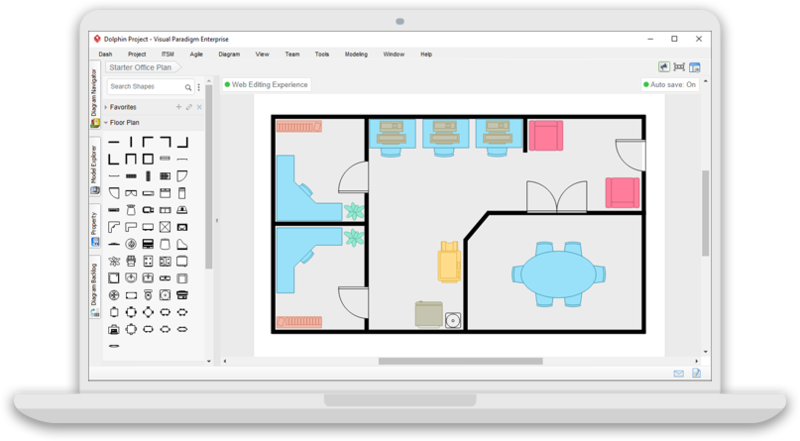 A rich collection of diagram symbol is available for you to create diagrams for different purposes.